Backyard entertaining at it's finest. Custom built kitchens, stone fire pits, outdoor bars, and similar architectural elements in the suburban outdoor landscape have become popular in recent years They are the perfect place to entertain family and friends during a warm summer night or a cool autumn evening. 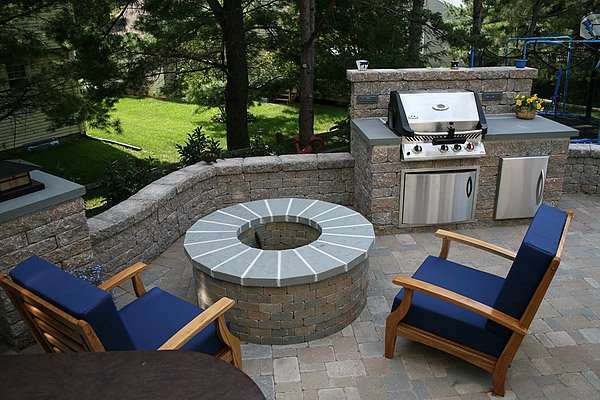 Maryland outdoor kitchens provide functionality and add beauty to the overall aesthetic of your home landscape. We specialize in custom design and precision construction of outdoor kitchens, fireplaces, and fire pits, with patios and stonework that have come to characterize East Coast Landscape Design artistry. We pride ourselves in attention to detail in the quality and precision craftsmanship we provide, adding not only beauty but immeasurable value to your home. With detailed drawings to show how your Maryland outdoor kitchen reflects your personal taste and blends seamlessly with you existing landscape, we will collaborate with you and our leading vendors and suppliers to provide the materials and tools needed for the construction of your custom outdoor kitchen. From gas lines, to electrical installation, to paver installation and finishes, East Coast Landscape Design is your full-service landscape design, installation, and maintenance firm. 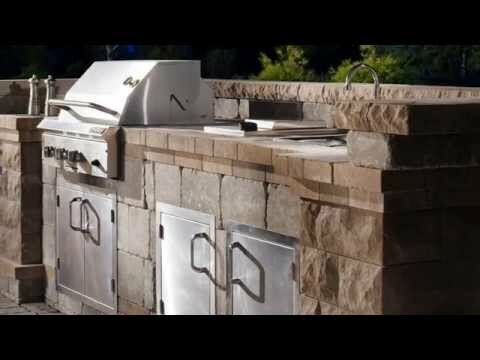 We work with a variety of natural and manufactured materials for outdoor kitchens and grills to create a custom look and feel to match your individual needs.